PROVIDENCE, R.I. — October 1, 2018 – The City of Providence has installed 15 conversation benches, designed by a Johnson & Wales University (JWU) graduate, along Wickenden Street in the Fox Point neighborhood. 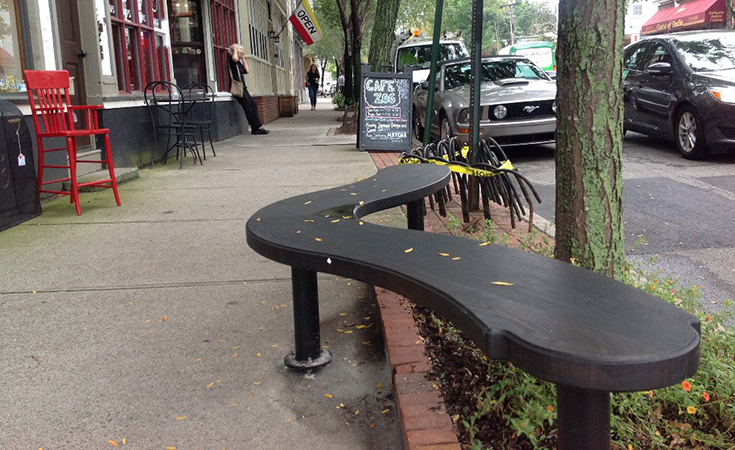 In collaboration with Providence City Councilman Seth Yurdin, the Wickenden Area Merchants Association and the Fox Point Neighborhood Association, Jonathan Harris, associate professor in the JWU College of Engineering & Design, led a class project in which students submitted designs for benches and tree grates that serve as conversation spaces. 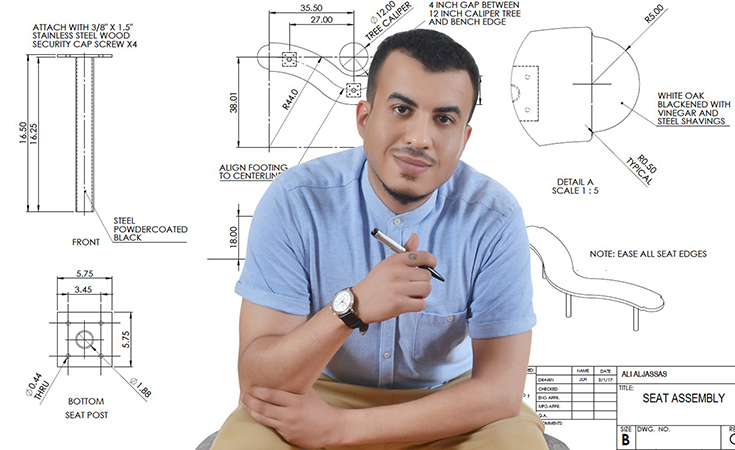 The Wickenden Area Merchants Association selected the design concept created by Ali Aljassas, who has since graduated and returned to his home country of Saudi Arabia.